The company Labinprogres-TPS for the first time presented production program at the renowned fair of agricultural machinery, Farm Machinery Show, Punchstown in Ireland. The fair was held from the 5th to the 7th of February 2015. Agricultural program was exposed by authorized dealer Inchaquire Industries of Kaldir, Ireland. The Fair is consisted of the three exhibition pavilions totaling 11,500 square meters of exhibition space, and it has gathered over 130 exhibitors on 160 stands interior and more than 30 stands in the open air. A record attendance of 18,750 people visited the Show with a huge crowd of some 7,500 on Saturday. 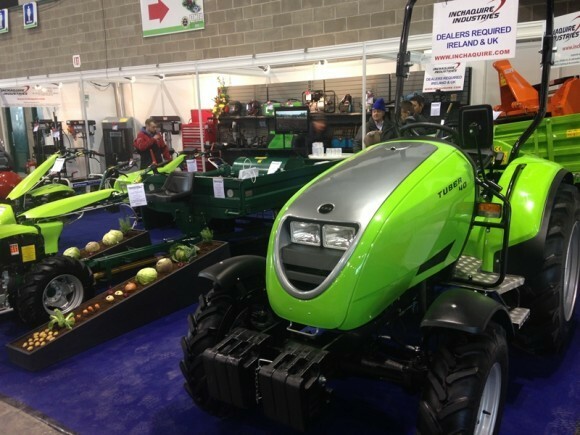 Although, Labinprogres just started a breakthrough on the Irish market, where competition is very strong, no matter on market position Labinprogres products awakened great interest of visitors, especially tractor Tuber 40 / 50 as well as two-wheel tractor Special Green. Fairs will remain the most important marketing tool in Labinprogres. In the near future positive results are expected in the form of realized customer orders.